Now I don't have the best handwriting in the world - far from it - but having these markers to play with is a lot of fun and I've been trying a few different things out. 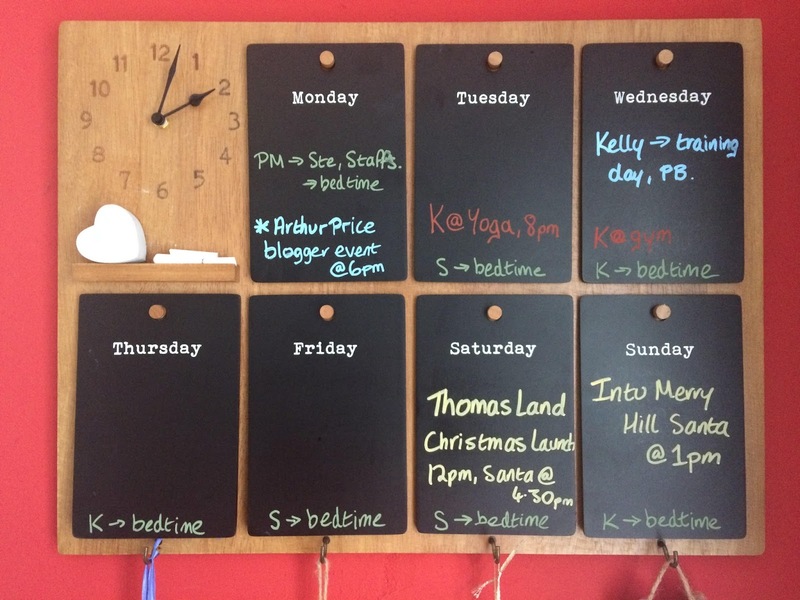 Hubs is very artistic and I am sure that when December comes around, we will have a festive welcome on our blackboard. 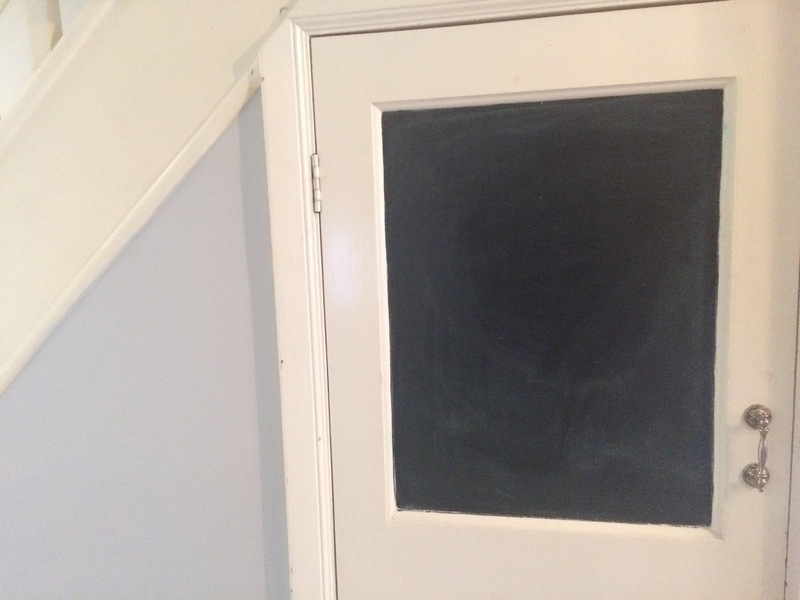 I have suggested painting a wall in chalkboard paint (yes, that's right), but hubs has said no - at least to the wall I wanted, as he's worried it'll be too much. 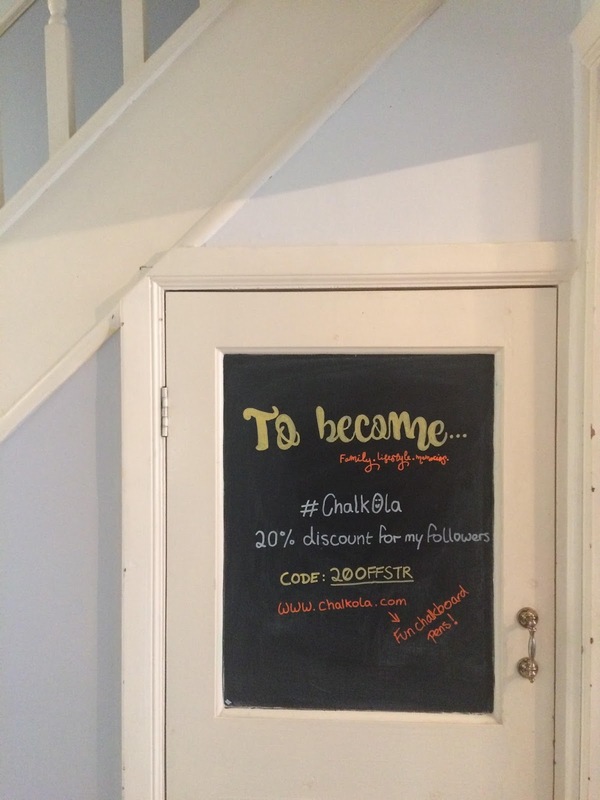 However, we do have space on the side of our staircase where a chalkboard effect would look good, to extend it beyond the board. Either the triangle shape of the wall plus the lower level of the cupboard door, so that Ethan can have some fun with the chalkboard pens, or the panel that runs upwards alongside the stairs. I haven't decided yet, but these pens are so much fun and I keep having lots of ideas, that I'd love to have a bigger chalkboard space to play with. 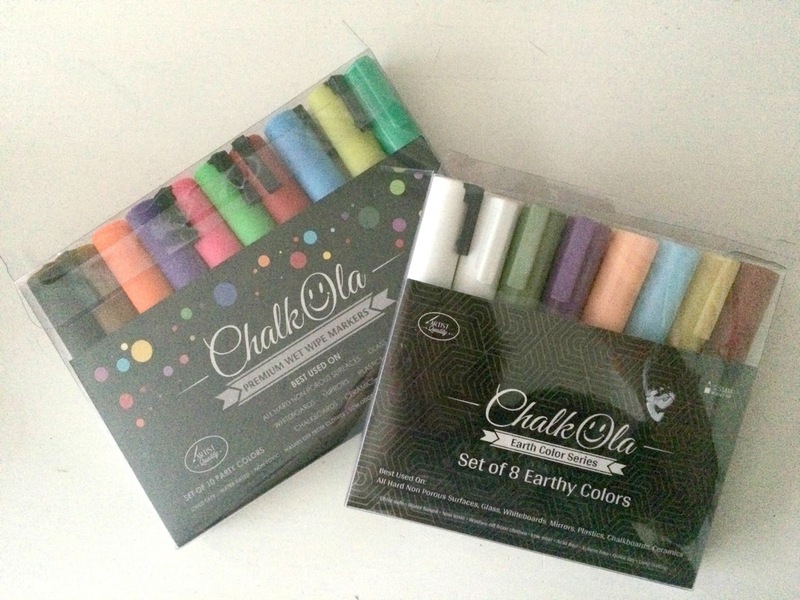 The Chalkola pens create a chalk effect that's crisp and with vibrant colours that really stand out. They work on all non porous surfaces in fact, so can be used on glass too - which is giving us some fun ideas for Christmas! 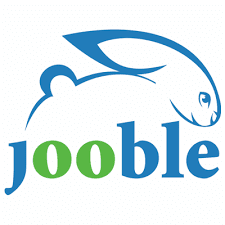 - and they are easy to erase with a wet cloth. 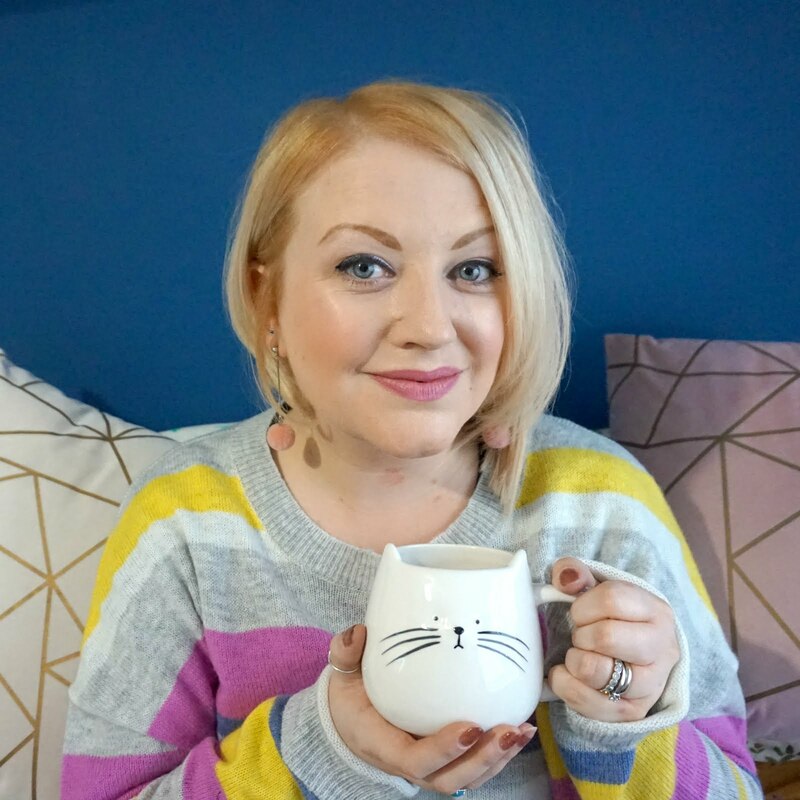 We have a pack of 10 colours, which are super bright and give you a full colour palette to work with, plus a smaller pack of earth tones which are nice soft shades. To activate them, keep the lid on, shake them for a minute or so then press on the tip until the ink flows. They're then ready to use and stay moist so that they apply smooth to the surface and you can create your message or work of art. The colours are really pigmented and stand out, the 6mm bullet tip is nice and thick and they have 8g chalk ink in each pen so should last for a good while. 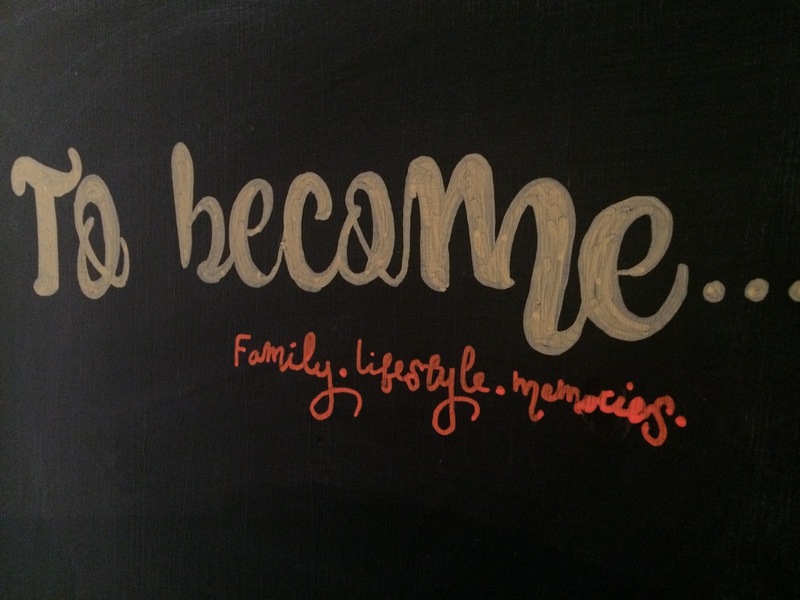 It's fun to use these chalk pens whether you're a kid (they are child safe) or a big kid like me who has always had a thing for doodling - and what better than to doodle on the wall? 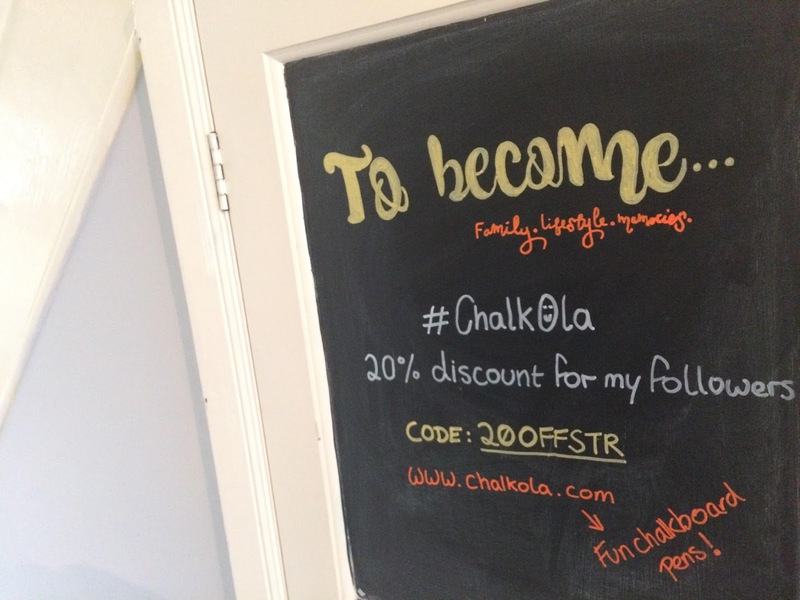 Are you a fan of chalkboards and chalk writing? 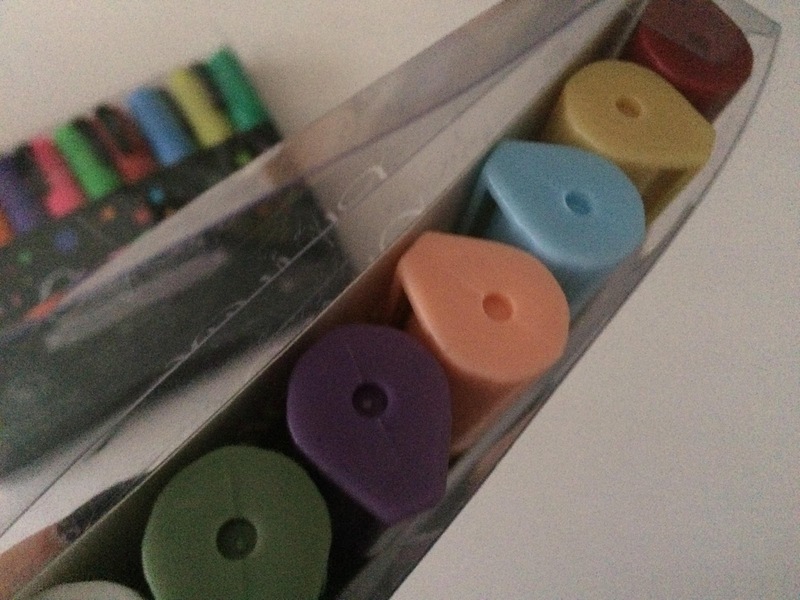 I'd love to see your ideas and hear what you would do with these colourful chalk markers. * I was sent my Chalkola chalk marker pens for purposes of review, but all opinions and doodles are my own.